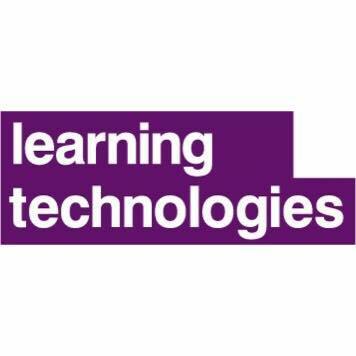 Next week is the Learning Technologies Conference at London Excel (13th and 14th February 19) and I will be attending with Emily Decker and Sophie Howe. We’ve been to this annual event for the last few years because it’s a great opportunity to catch up with our L&D and training clients, and also find out what’s hot in the industry! Having had a quick look at the conference programme, it looks like we’ve got an interesting couple of days in store. I’m particularly interested in emerging technologies and new training methods as these have a direct bearing on the content we localise for our clients. In recent years we’ve seen a huge increase in demand for e-learning translations, often referred to as digital learning translations. We’ve become experts on the technologies used to create e-learning modules and have developed specialisations so that we can effectively translate and localise content for global learners. We’re continually developing and improving our services to ensure we can meet our clients’ needs, and therefore any new developments in learning technologies are of great interest. Understanding the practical applications of emerging technologies can shape our translation services in the future, so it’s very important we’re up to date. I’ll be spending time speaking to technology vendors to get a better picture of how content can be localised more effectively, and also gauging interest in new technologies amongst our client base. What will be the next big thing and will new technologies like virtual and augmented reality become mainstream? I’m hoping for a few tip offs and answers! I’m also really looking forward to seeing Kate Pasterfield’s talk on learner engagement. Kate is the Chief Innovation Officer at Sponge, one of our digital learning clients who develop some truly inspiring training programmes for their global corporate clients. Kate will be in Theatre 4 at 12:30 on both days of the conference if you want to catch her talk. Another area I’ll be exploring is how different training methods impact localisation and the ability of L&D teams to create content for global staff. I notice that collaborative learning, gamification, curation and campaign-based learning are all on the agenda and all have implications for global organisational learning. Whether it’s knowing when and where a training method is appropriate for localisation, or putting in place processes to make different training methods accessible to global learners, I hope to get some useful insights I can take back to Comtec. As well as visiting clients and soaking up the conference I’m also available to meet up with anyone who wants to learn more about training and digital learning localisation. If you’re planning to be at Learning Technologies and want to grab a coffee and have a chat about engaging global learners with your training content, please get in touch. I’d be delighted to share my experience and our specialist expertise in these types of translation and localisation projects. Call +44 (0)1926 335 681 or email mjones@comtectranslations.com to set up a meeting. If you’re not going to be at Learning Technologies and would like a few pointers to help you develop more effective global training content, we have a free guide! 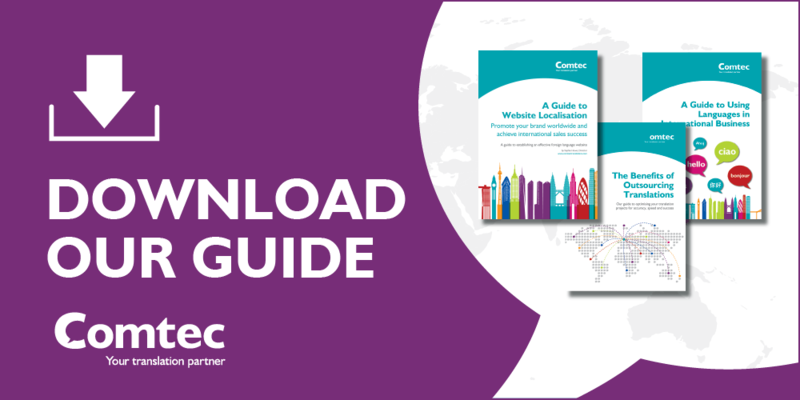 Click here to download a copy for our translation and localisation advice.